At least three senior BC Liberal officials and an unnamed BC Liberal MLA have been implicated in allegations of unethical behaviour in a 76-page report published yesterday by BC House Speaker Darryl Plecas. The report alleges more than a decade of “flagrant overspending” and a “lack of oversight” by non-partisan senior staffers in the BC Legislature. In particular, it alleges Clerk Craig James and Sargent-at-Arms Gary Lenz, both non-party affiliated officials who are currently suspended with pay, billed the British Columbian taxpayer “tens of thousands of dollars” in inappropriate personal expenses. The report also alleges “thousands of dollars” of “alcohol and equipment” may have been “misappropriated” by senior officers from the Legislative Assembly. 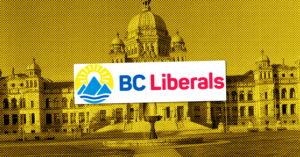 However, while Plecas’ report focuses on allegations relating to James and Craig, it also reports allegations that several BC Liberal officials, including an anonymous MLA, may have been engaged in underhanded activities. The report alleges a former Legislative Assistant told Alan Mullen, Plecas’ assistant, that an unnamed BC Liberal MLA was filing “improper” expense reports. After the Legislative Assistant refused to submit the expense claims, the report says the whistleblower was “terminated” from his position. “A former Legislative Assistant, who I will call AB … AB worked for several MLAs in the Official Opposition starting in February 2018 and one of AB’s tasks was to submit their expense claims. Over time, AB advised Mr. Mullen that he believed one of the MLAs was requiring AB to submit improper expense claims. AB had raised the claims of the MLA’s which he believed were improper with that MLA, and was told to submit them anyway. However, James then met with Geoff Plant, a former BC Liberal MLA, in Vancouver, where they discussed reigning in Lenz to ensure he wouldn’t conduct any further investigations into improper expense claims. Plecas’ report indicates that James also met that day with Paul Barbeau, a BC Liberal executive and legal representative of party leader Andrew Wilkinson. Plecas’ report alleges James improperly received a retirement payment of $257,988 in 2012, even though he was still working at the Legislature. Jo-Anne Kern, the Legislature’s then-Director of Human Resources, raised questions about James’ payment in a report. Plecas’ report states that, according to Lenz, James instructed three legislative employees to fill his pickup truck with $10,000 worth of liquor purchased by the Legislative Assembly, along with a desk, chair and other personal items belonging to Barisoff, who had recently retired as Speaker, back in 2013. On top of that, the report indicates that during Barisoff’s time as Speaker, he authorized the payment of improper expenses, including a $118,915 Retirement Allowance payment to Deputy Clerk Kate Ryan-Lloyd. 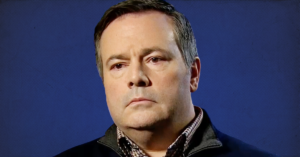 In a private e-mail sent to the United Conservative Party caucus, a former UCP MLA informed his old colleagues that he is cooperating with an investigation looking into UCP leader Jason Kenney. The e-mail, newly obtained by PressProgress, reveals former UCP MLA Prab Gill has shared information with investigators from Alberta’s Election Commissioner’s Office who are looking into Kenney’s so-called kamikaze candidate, Jeff Callaway.